Rhondda AM Leanne Wood has called upon the Labour Government to move fast to ensure that disabled people are not left out of pocket. The Plaid Cymru Shadow Minister for Social Justice and Housing called upon Ministers to match words with deeds after they performed a U-turn on reinstating in all but name the Welsh Independent Living Fund last months after months of pressure. 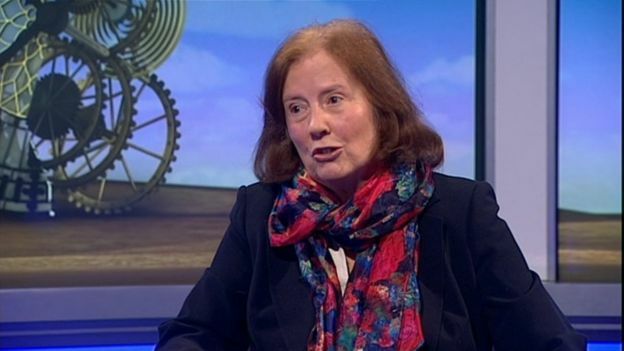 Julie Morgan, the deputy minister for health and social services, wrote to local authorities to ask for a halt to the closure programme for the Welsh Independent Living Fund and its replacement with a system of council-funded support. There will now be new assessments for former recipients with a view to new support packages allocated by their local council. In a letter to Julie Morgan, Ms Wood called for a “clear timetable” to restore financial support for disabled people living at home. Leanne wrote: “I am writing to you following last month’s announcement that an independent social work assessment will be offered to all former Independent Living Fund recipients who are unhappy with their new care and support package. “You also committed to providing additional funding for councils to fund independence assessments and any additional care hours that may result from these assessments. “I appreciate that we are only a month on from this welcome statement in the Welsh Parliament but the reality is that people are continuing to struggle without adequate support. “A clear timetable for carrying out these assessments and restoring the financial packages for disabled people is required as a matter of expediency to provide clarity and hope for people in need of extra support. The following article was taken from the Plaid Wrecsam blog. I take no credit for the article and thank everyone at Plaid for their support. 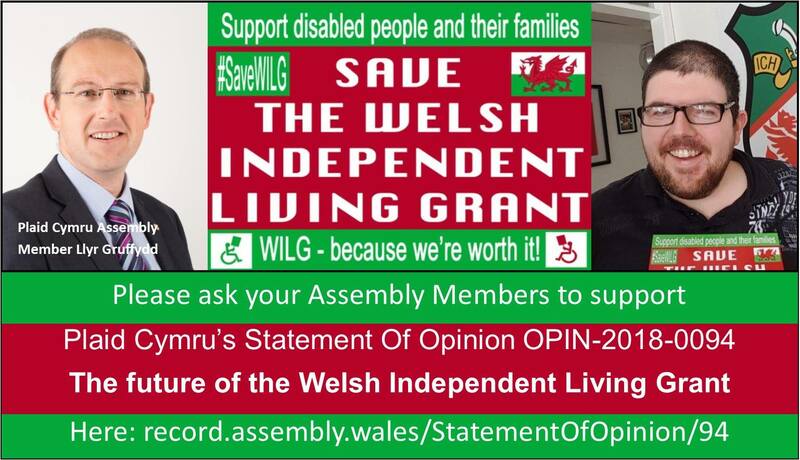 Today sees a Plaid Cymru-initiated debate on the Welsh Independent Living Grant in the Senedd. 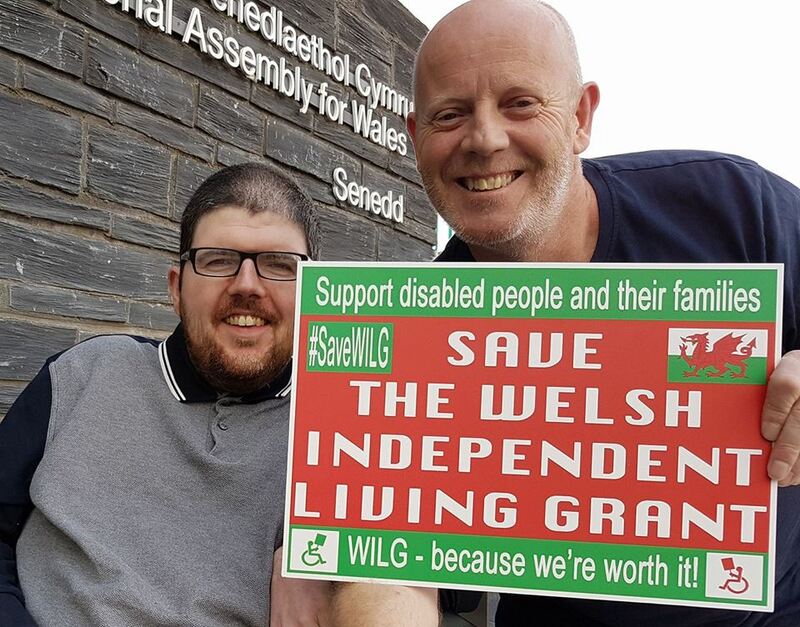 Coincidentally, the Welsh Government yesterday announced it was pausing its controversial plans to axe the grant, which enables disabled people in Wales to live independently and manage their own affairs. The pause comes after relentless pressure coordinated by Wrexham campaigner Nathan Lee Davies and many others. The debate was intended to maintain the pressure on the Labour Government, which had decided to follow the Tory line in Westminster and axe the grant. “The Welsh Government should just have the guts to admit it got this wrong from the very beginning. After the proposed changes are filtered through, we should have a situation where no disabled person has lost out on care. However, we will be spending considerably more money on administration and reviews to get to this point than if the Welsh Government had just adopted the Scottish and Northern Ireland approach of retaining the fund – as we argued for at the time. “Without the tireless campaign of disability activists such as my constituent Nathan Lee Davies, it’s unlikely this U-turn would have happened. Disabled people would have faced yet another significant cut to the support they have and a loss to their independence. “Questions have to be asked about why the Welsh Government made the wrong decision in the first place and what it really says about how much it listens to disabled people. Where has the government been before now in acknowledging its proposals wouldn’t work? A Statement of Opinion on a matter affecting Wales may be tabled by any Member other than a member of the government; and any such Statement may be supported, opposed or otherwise subject to comment in writing by any other Member. Statements of Opinion are published on the Assembly website but there is no Assembly decision on them.